DETAILS: Ish’s dog is gone. Vanished in a country town. Mum’s on holiday, Dad’s in Sydney. Ish and his bossy sister Molly are staying with Gran. There are no clues. Only something mysterious in the town’s graveyard. Then a bully from the local school starts to blackmail Ish. Can things get any worse? 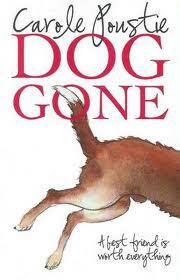 From Carole…Dog Gone started off as a short story about a boy’s encounter with something terrifying in a graveyard. That was more than five years ago when I was guiding a group of primary school students through a holiday writing workshop. I had set them the task of writing a story and decided I should write one, too. By the end of the workshop I knew I was writing a novel. Its original title was going to be Thunderstruck! The setting for the novel is Mt Selview, a fictitious place up on the Murray River. However, in my mind, it is set in Corowa, where I spent many school holidays with my grandmother when I was a child and teenager. Some of Gran’s traits in Dog Gone are based on my grandmothers’. If you’ve read the book, you’ll understand when I tell you that my grandmother’s knickers really did fall off one day! CV: Carole emigrated to Australia when she was three. 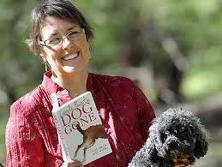 In 2007 she won the Page Seventeen Poetry Competition and in 2009 Dog Gone won the BPA/Box Hill TAFE Publication Assistance Award, which enabled it to be published by Avant Press.